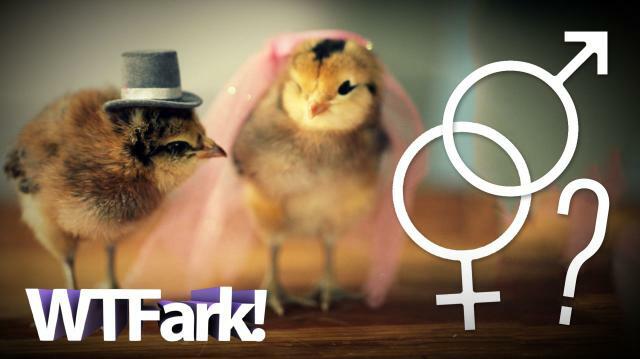 More from Ora: WTFark Officially Endorses Buffoonery! Unfortunately, not all jobs are created equal. Some jobs pay really well, other jobs pay s***. Some jobs are super fun, some jobs are super s****y. I guess the dream gig is to find a super fun job that pays well, right? Well, guess what, dreams are dreams and reality is reality. So here’s the question- would you settle for a super s****y that pays well? Depends on what it is, you say, eh? How about being a professional chicken sexer? What does the job entail? Funny you should ask… how about I ask you a question- how do you feel about inspecting 12,000 chicken buttholes everyday of your life for $60,000 per year? ...wait- where are you going? !